Salma Hayek is undoubtedly the epitome of Latino beauty. She has a sensual accent that brilliantly matches her beauty and acting skills. The 52-year-old Academy Award Nominee recently took to her Instagram to share an intimate photo of herself bereft of makeup and flaunting her grey hairs. The picture shared wowed her many fans because we live in an era where most women try to conceal any evidence of aging, especially celebrities. However, Salma Hayek decided to take a different approach. In the selfie captioned, ‘#proud of my white hair,’ Salma looked as lovely as ever, as her naturally curly hair cascaded down her shoulders with visible streaks of grey hair. The natural look was completed by her sweet smile. As you can imagine, many fans appreciated the look and went on to post their comments. 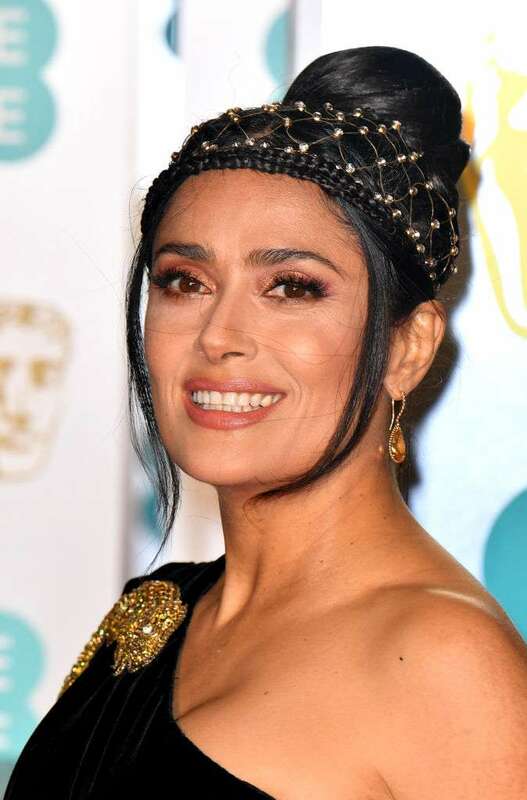 Although the Mexican-born actress is known for her beauty line ‘Nuance,’ interestingly, she shared with The New York Times in 2017 that she prefers natural makeup products and does not ever dye her hair. “One of the reasons I don’t dye my hair is because I don’t have the patience to sit through it. I don’t want to spend what’s left of my youth pretending I’m younger and then not enjoying life." Beyond being successful and gorgeous, Salma is most definitely an ever-flowing fountain of wisdom, and many other celebrities ought to take a leaf out of her book.